School is back in session and there are a number of new things happening in the Makers Lab to help unleash your creativity and take your maker project to the next level! Here are a few updates to kick off 2018. 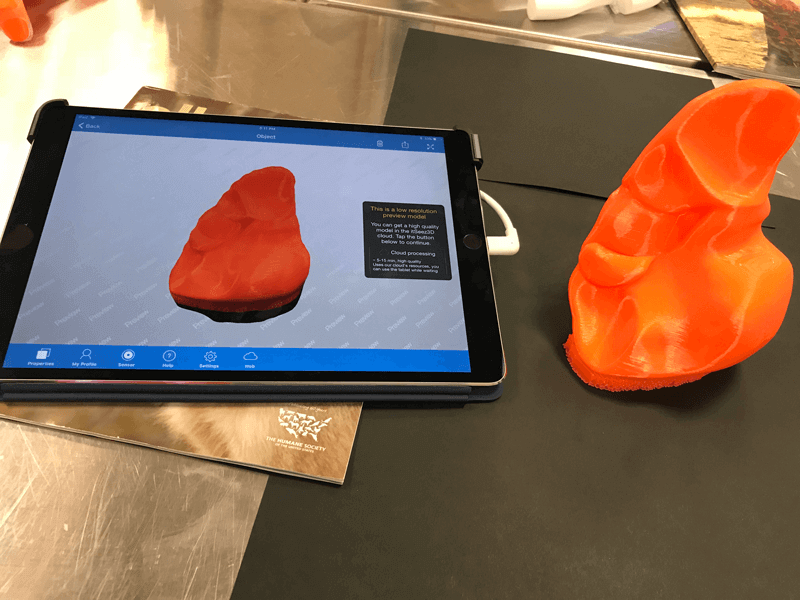 We love the Matter & Form 3D scanner, but many UCSF makers ran into limitations while using the 3D scanner. Not to worry, there is now a handheld Structure Sensor 3D scanner available in the Makers Lab. The 3D scanner attaches to an iPad and captures objects, individuals, and environments in moments. Export the 3D scan to use on a website, for a 3D print, or in a virtual reality environment. The Sensor Structure will available on the Makers Lab Equipment calendar soon, so stay tuned! Also new to the Makers Lab is a swarm of Sphero Minis and Raspberry Pi Zeros – the perfect tiny tech for your maker project. Use the Sphero Mini to learn how to program, send data back to your smartphone, or to unwind before a big exam! Use the Raspberry Pi Zero to build a low-cost kiosk or to power your 3D printer! 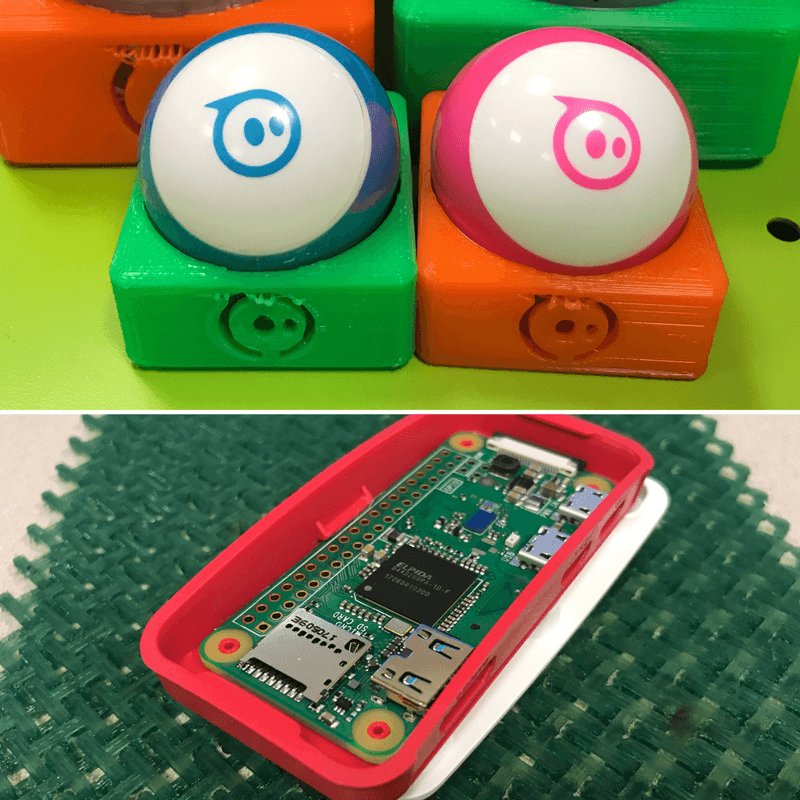 The Sphero Minis (and Sphero SPRK+) are available anytime the Makers Lab is open and email makerslab@ucsf.edu to reserve a Raspberry Pi Zero. Due to popular demand, the Cricut vinyl and card cutter can now be reserved on the Makers Lab Equipment calendar. 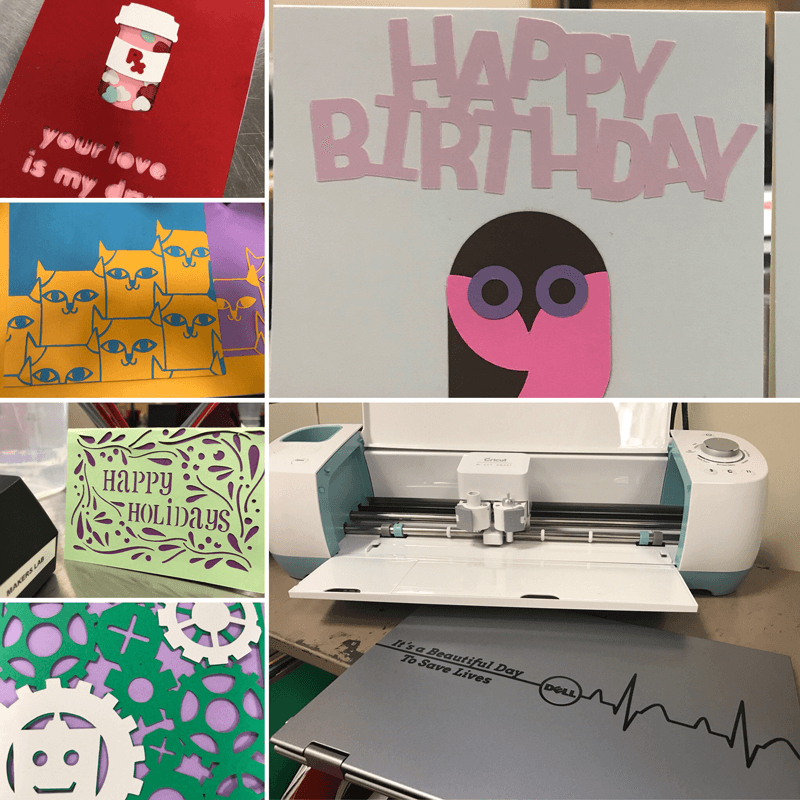 Take a look at a few of the amazing projects UCSF community members have made using the Cricut! The Cricut is the perfect tool for showing off your school, department, or lab pride! Need help getting started with the Cricut? Attend an upcoming Cricut Demo or visit us anytime the Makers Lab is open and ask a staff member for help. The UCSF community spoke and the Library listened! We will take the Makers Lab on the road to the Mission Bay campus with two 3D Printing pop-ups in February. Sign up, send us your feedback, and let us know if you are interested in attending more Makers Lab pop-ups at Mission Bay. The Mobile Makers Lab cart has a 3D printer, laptop computer, and plenty of room for all the filament and finishing tools required for a successful 3D print! 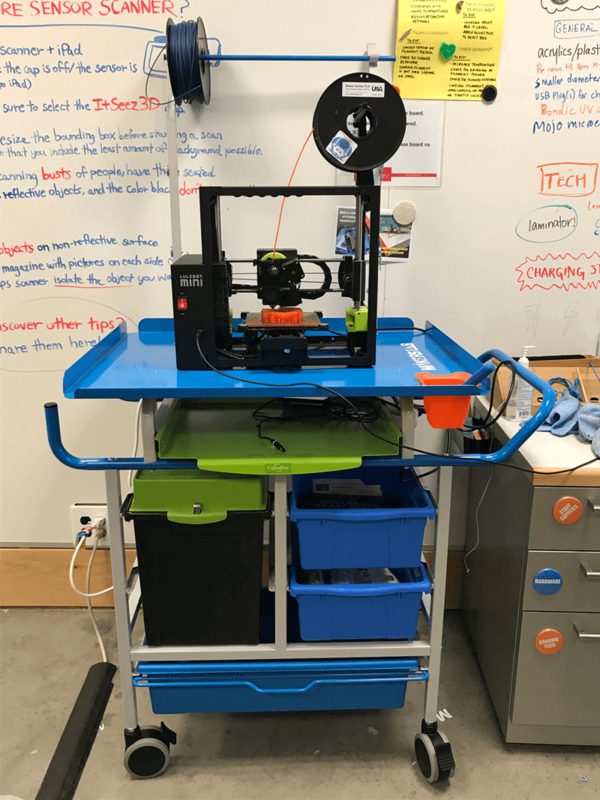 Interested in checking out the Mobile Makers Lab cart for your UCSF class or lab? Let us know by emailing makerslab@ucsf.edu and stay tuned for an upcoming blog post all about the Mobile Makers Lab. Have you heard a lot of talk about medication adherence and Pharamcoepidemiology in the Makers Lab recently? That may be the 100+ UCSF Pharmacy students working on the Pharmacy Innovation project for the winter quarter, discovering innovative pharmacy applications with the Arduino, Raspberry Pi, and Sphero. We cannot wait to see what they will create! From upcycling paper into jewelry to 3D printing the ultimate business card, there are a number of creative and educational Makers Lab pop-ups scheduled in February. Have an idea for a pop-up you would like to see offered in the Makers Lab (or one that you would like to lead)? Let us know, email us at makerslab@ucsf.edu or stop by whenever we are open! 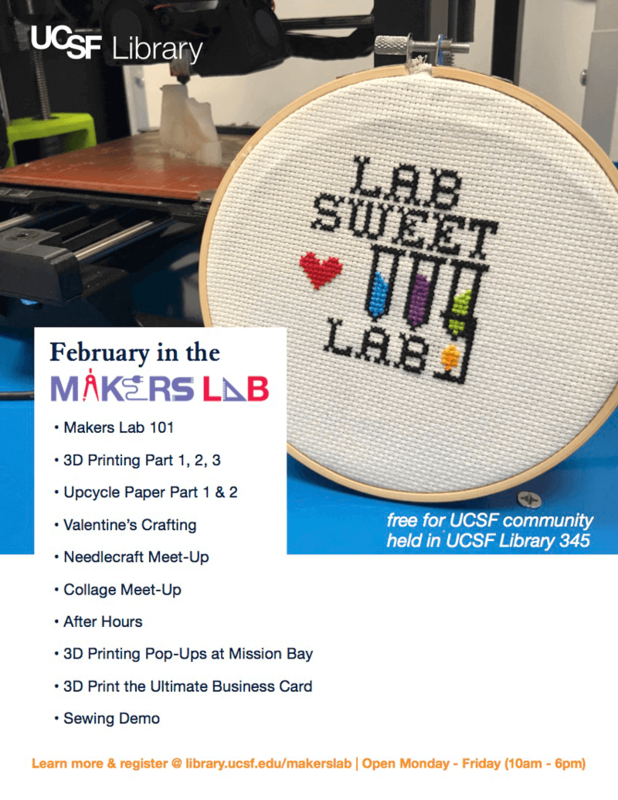 Follow us on Twitter and Instagram @ucsfmakerslab and sign up for our mailing list to always know what’s happening in the Makers Lab! About the Makers Lab: As the center of learning, inspiration, and exploration at UCSF, the Makers Lab invites anyone with a valid UCSF ID to join us and unleash their natural creativity. We provide free access to new tools and environments that foster creativity and discovery.